SBI Life Insurance provides various SBI Life Insurance login features by which the customer can check his policy in details all the time. From the SBI website, all the policy-holders can register and acquire the services of the website. The services of all the policies are so good that the customer maintains goodwill with the bank. All the users can create their accounts and enroll for the life insurance policies. The customers can file a request for taking the varied services of the bank. Customer Support is also there for the policy-holders for queries or any suggestions. 1 Reset Online SBI Password Now! In case of an SBI Life Insurance policy, the online status can be checked via “online policy tracker.” This kind of tracker enables the customer to make his premium payment at the correct time. Thus he stays out of the worries of a lapsed policy or a late payment fee. The SBI Insurance agent has to be contacted regarding the policy details. But by SBI online life insurance, one can check the policy details easily online. After logging in to the customer domain of life insurance, the customer has to enter the policy details. For this, he has to provide the policy number, customer id, and the date of birth. Select a login name of your choice and get the password secured. After successful registration to the account, one can log in and check the details. One can set the SMS alert for the policy status and the premium dates. If the customer wants to pay the policy premium online, then he could utilize the bullet payment option. In this method, he enters the policy number, mobile number and the date of birth. To make the payment, one could use the master card, visa card, internet banking or go for the diners credit card. The sbi life insurance online plans are cost-effective, involve less of paperwork and are convenient to use. One can create some wealth by using this insurance plan. A regular income individual can use the annuity plan for security and better earnings. The unit-linked insurance plan is supposed to provide long-term investment and protection. These customers get the market returns on their policy apart from the life insurance policy protection. Each fund has a different risk exposure, and the customer can choose from among these fund plans. Some of them have attractive features like flexibility and the transparency of the accounts. SBI group plans give the beneficial solutions for a wide range of plans. It encourages the organization to provide for the best skills in their industry. It provides varied corporate solutions for the legal and the voluntary needs. The plan enables to fix the employer-employee relationship for the long run. SBI Life Smart Money Back Gold: This plan provides the added advantage life cover and immense cash inflow. It is a traditional participating money back plan. The main features are: The minimum sum assured is Rs 75000, though the maximum limit is not fixed. The age limit is from 14-55 years to buy a policy. A fixed cash inflow option is available to the customers. The survival benefit is paid till the maturity of the policy. Almost 110% of the sum assured is paid to the customer. The sum insured can be availed at maturity and before the maturity also. On a large sum assured the customer would get rebates. One can select from a wide range of options for more benefits. A death benefit would be available to the nominee on the death in the term of the plan. The policy-holders will get the income tax benefits. SBI Life Shubh Nivesh: It is a non-linked plan with a profit endowment assurance of a whole life cover. One can earn innumerable benefits from this policy. The main features are: The minimum sum and the maximum limit are similar to the Smart Money Back Gold of SBI. The minimum entry age is 18 years. This policy can be treated as a whole life insurance as well as a savings plan. One can select between the regular and the single premium payment mode. The basic sum assured could be received at regular intervals. The tax benefits can be availed of. The death benefit and maturity is received based on the plan selected. Deferred Maturity Option can also be chosen to get income at regular intervals. Reset Online SBI Password Now! SBI Life E Shield: This is a pure term plan that is individual and non-participating. The main features are: The minimum sum that can be assured is Rs 20,00,000 without any maximum limit. The age limit for entry is from 18-70 years. At an affordable premium, the customers can offer security to their families. The bank provides rewards for a healthy lifestyle. An accidental death benefit is available. The tax benefits are available under section 80C AND 10(10D).The customer gets death, maturity as well as surrender benefits from this plan. SBI Smart Guaranteed Savings Plan: It is a traditional non-participating savings plan. There are guaranteed additions that provide the savings a boost. The main features are: The sum assured depends on the premium that has been chosen. The age entry level limit is 18-50 years after which the customer cannot apply. One gets guaranteed benefits at the end of each policy year. The premium can be paid for a period of 7 years. For the inner policies, the customer gets death and also maturity benefits. SBI Life – Smart Champ Insurance: This policy is an individual and participating insurance plan. A child’s future education needs can be protected with this plan. The main features are: The age limit for children is from 0-13 years. The minimum age limit for adults is 21-50 years. The minimum sum that can be assured is 1 lakh, and the maximum sum that can be assured by the customer is one crore. For the insured event, the customer gets prompt payment. If the customer is financially burdened, the future premium installments would be evaded. One can avail benefits on death as well as survival. This plan can avail the benefits of tax benefits and various exemptions. SBI Life – Smart Income Protect: In this type of plan the customer is secure for his future. The main features are: The minimum sum assured is Rs 1 lakh with no maximum level suggested by the bank. The age limit is from 8-60 years. One gets insurance cover and also regular income from the policy. There are guaranteed annual payouts from this policy. The insurance can be customized with a wide range of other benefits. Maturity benefits can be available in installments and also in lump sums. The death benefit is also available along with this plan. SBI Life – Smart Money Planner: This plan is an individual insurance plan with a profit endowment assured and various other added benefits. The main features are: The minimum sum assured is Rs1 lakh, and the maximum sum is Rs5 crore. The age limit varies from 18-60 years. The customer gets regular income over the entire benefit period. On a large sum assured the rebates are offered. The tax benefits are available under the prevailing tax laws. The policy-holder is given death, maturity and survival benefits. Smart Humsafar: The endowment plant is that if joint life. This plan is good for partners who are looking for both insurance and savings together at the same time. The main features are: The minimum sum insured is Rs 1 lakh, and the maximum is Rs 5 crore. The age limit is from 18-46 years for such an insurance policy. One gets joint life advantages, waivers in the premium and secured savings. Cash Plans which involves a survival benefit in the policy. 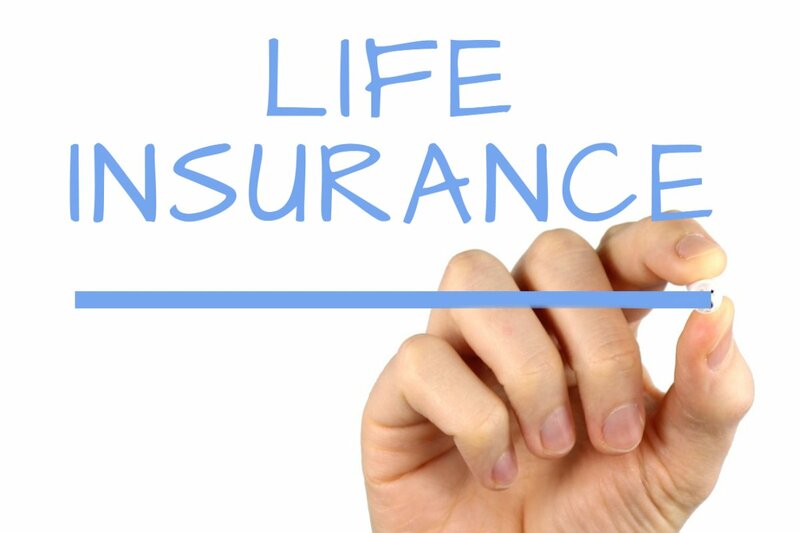 Whole Life option of Insurance in which the customer gets lifelong protection. Children’s policies wherein the child gets the benefit. Annuity plans aim at covering the income loss. As we can read from the above that SBI provides a wide range of benefits for all types of policies. The customer can literally select from the innumerable types of plans that they offer. Sir,My saving account in Pilani branch,currently we are living in Banglore.I want cheque book.what process,PL reply.